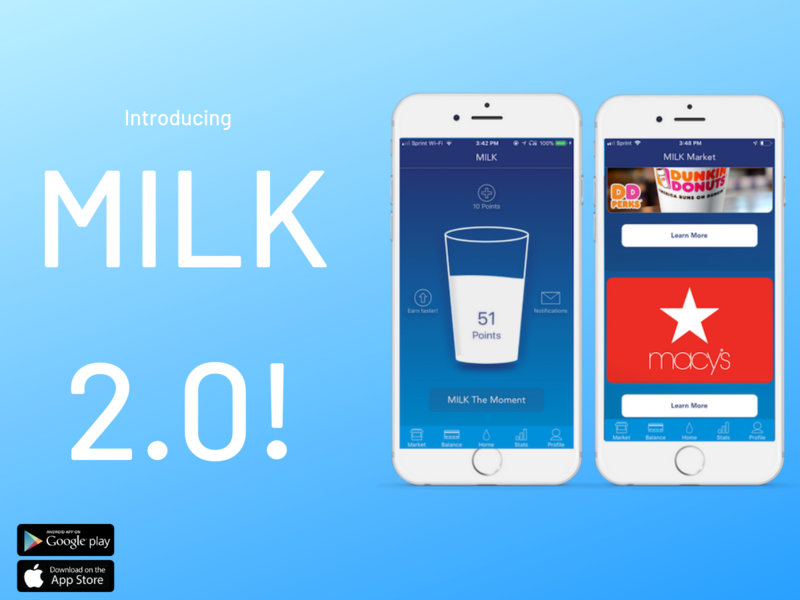 The MILK App > Technology > Introducing MILK 2.0! 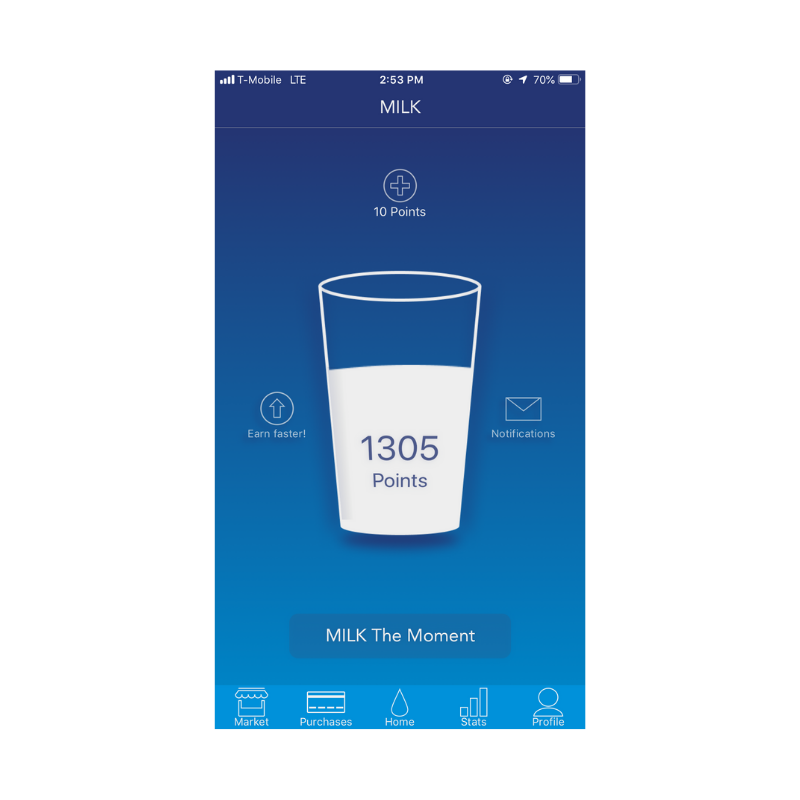 The MILK App is a mobile application that rewards users whenever they refrain from using their phones in places or situations where we could all be a little more present, intimate, focused, and safe. New Design. New Features. New Rewards. After months of anticipation, MILK 2.0 is finally ready to announce its official launch! 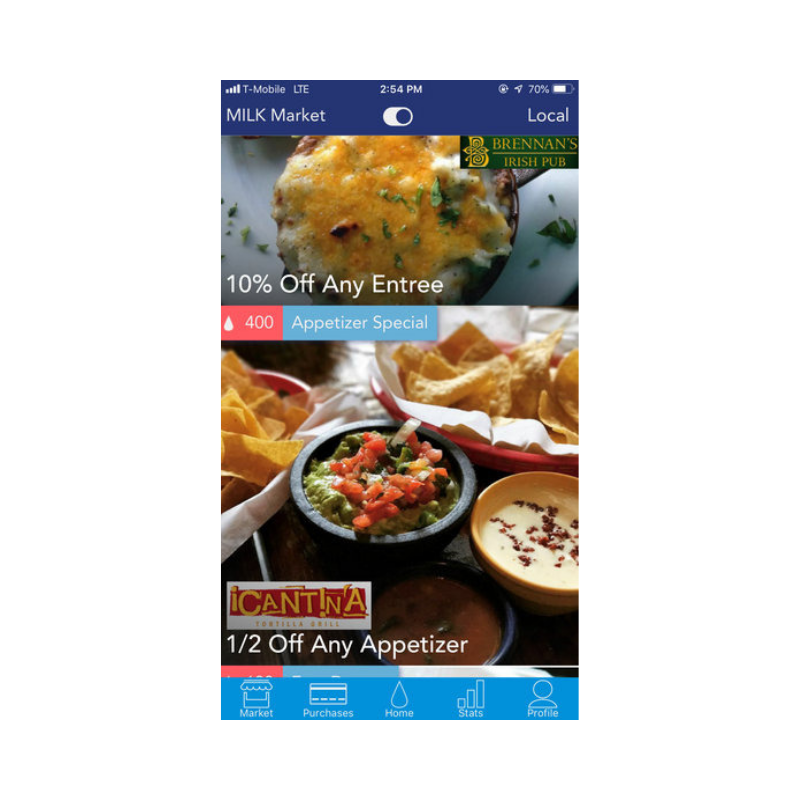 The Updated Version of the MILK App ushers in a sleek, stylish new design we know our users will love! You asked, We Listened! You can now “MILK the Moment” anywhere, anytime, and on any device. We are now on IOS and Android! Press the “Milk the Moment” button, set your timer for the duration of time you would like to Milk the Moment, then lock your phone. 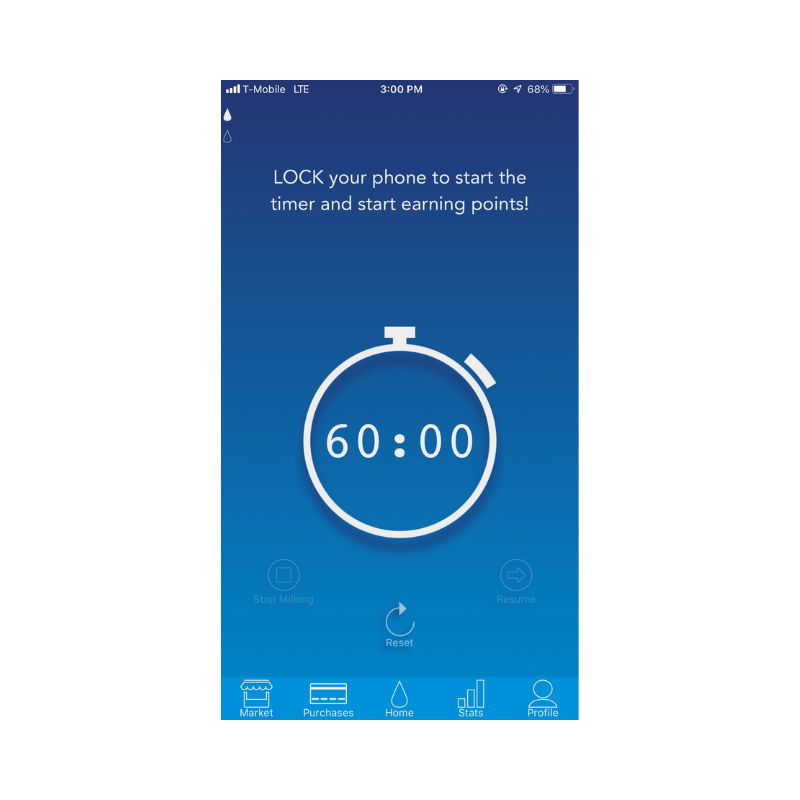 The app will accrue points for every minute you decide to be present and engaged. Once you’ve got enough points, redeem them for rewards! We love to spoil our users. Our team is constantly brainstorming new ways for our loyal users to be rewarded. In this update, we have introduced the Milk Market. The new market allows our users to redeem their points for not only gift cards, but tech gadgets, fashions, fitness services, and more! We want the Milk Market to feature YOUR business! 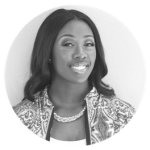 We wish to partner with local restaurants, nearby coffee shops, boutiques, and entrepreneurs like you! If you are a small business owner, MILK is interested in collaborating with you and would love to feature your brand in the app. Go download the new version today! Mikey, we ran into a bug and had to take it down to fix it. It will be up in a day or two. Sorry about that.